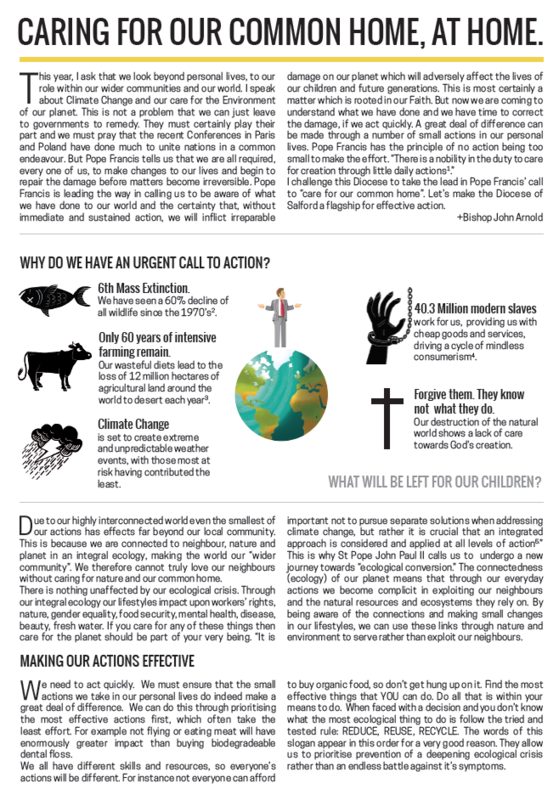 “Never before was a Papal letter more enthusiastically received by other Christian Churches, other religions, politicians, scientists, believers and non-believers alike than Pope Francis’ letter on creation, ‘Laudato si’ two years ago. Though it is a challenging read at 189 pages it is clearly written and has a message that we should all try to absorb.” – Fr John Corcoran, Parish Priest. 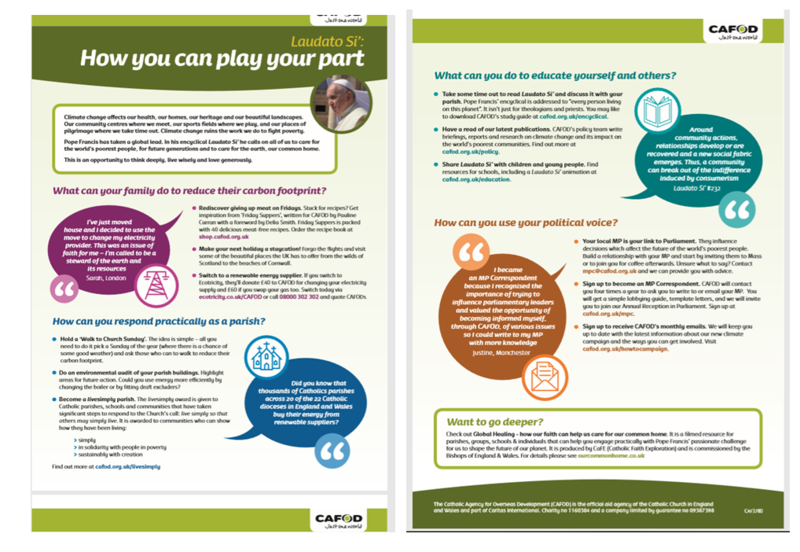 A series of meetings was held in 2016-2017 to introduce us to the encyclical, to discuss it and consider ways of putting its philosophy into practice. Following this, we have started a new parish group whose objectives are to commit the parish, in its three church communities, to establish permanent activities and practices that will enable us to actively live the ideas engendered by Pope Francis, so that we may start to repair the damage done to our Common Home and offer a better future for our children and grandchildren. We will be meeting regularly to discuss initiatives and progress. In the meantime, these pages will be used to pass on relevant news, advice, hints and tips, etc. We hope our website will become a valuable resource for all in the parish and elsewhere who wish to contribute to the success of the venture and to keep abreast of what we are doing. Our watchword is a phrase frequently repeated by Pope Francis in Laudato Si’ – “everything is connected”! Following Bishop John’s pastoral letter, the Laudato Si (Live Simply) Group are showing the half hour Global Healing film again on Wednesday March 20th in the Parish Assembly Room at 7.30 pm. 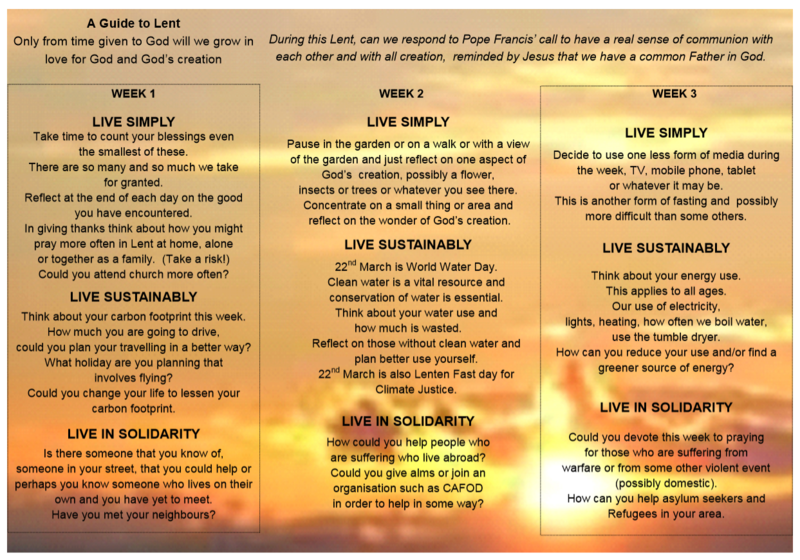 This will be followed by a discussion on our practical response guided by the Live Simply in Lent leaflet, Bishop Johns’ pastoral letter and the Caring for Our Common Home leaflet (all three below – click on the images). 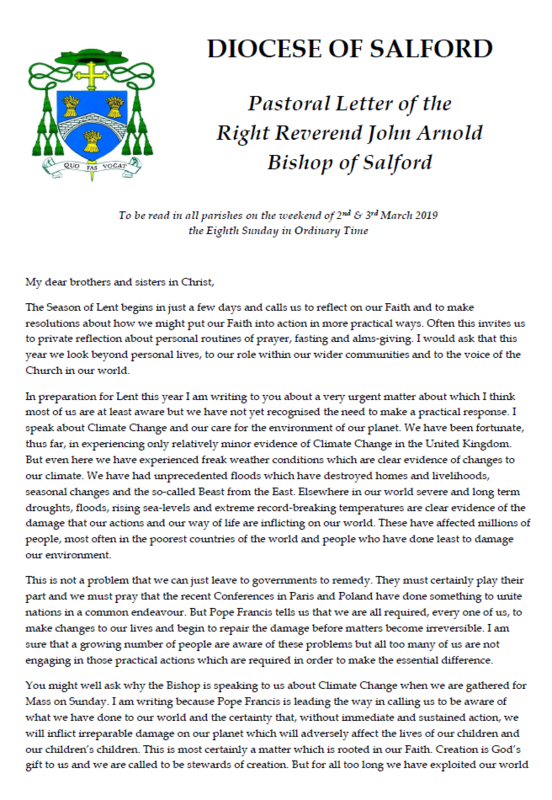 In his Lent Pastoral Letter, Bishop John asks to us to heed climate change and Care for our Common Home. He says: “I would like to challenge every parish in this Diocese to form a group concerned with giving advice and making practical responses. I invite every parish to watch “Global Healing” as an introduction to practical ways of helping to heal our planet.” With our Laudato Si’ (Live Simply) Group and Global Healing programme we are well ahead of most parishes. It was another really enjoyable evening even though there was only 17 of us, and some had to miss the film and attend to the food! Once again we had a collection for the Refugee Day Out which brings the total now to £115.05. 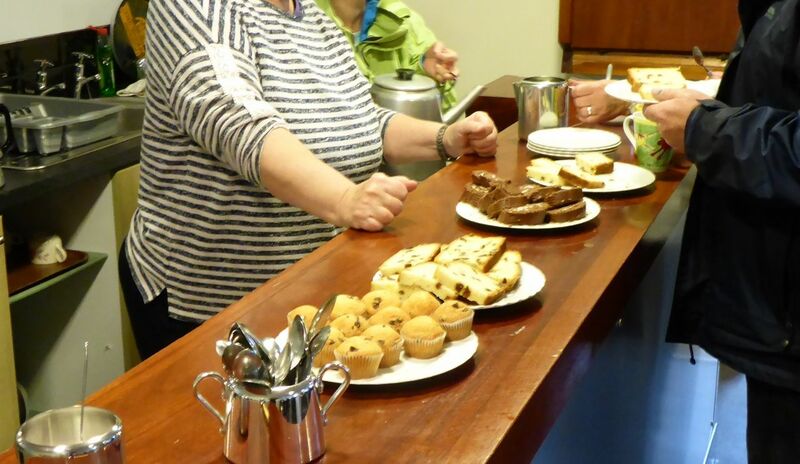 Encourage parishioners to support the activities of at least one Parish Group that has a social action remit e.g, CAFOD, SVP, Food Bank, Refugee Response, Anti-Trafficking, and support either directly or by donations and increased awareness of what they do. Sean Ryan’s presentation of refugees and the Refugee Sponsorship Program generated a lot of interest and questions from the group. It was a pity it was so small a group – just 14 of us. Ironically it might have been the small size of the group – mostly from our Parish but one from the United Reform Church – that made the discussion easier and more coherent. Sean speaks with passion and his superb musical renderings of the main theme from Schindler’s List on woodwind to a series of pictures of refugees got us off to a good start. He followed with a song called The Lighthouse by the Rend Collective and then launched into the Sponsorship Program and his work as National Caritas Community Sponsorship Coordinator. His achievements are considerable but then Sean is a remarkable man. He didn’t talk about himself but he puts his success down to the power of his Faith. It was that Faith that lost him his well paid job when he became a whistle blower because of malpractice by his employer. Along with his family he became homeless and for a while made a living as a street musician. After applying for over a thousand jobs he finally got a position with Caritas. Sean didn’t tell us any of that. What he did say was that starting with his own Parish in Flixton he led the sponsoring of a Syrian family that has become the UK model. Sean is employed by Caritas and also CSAN so he travels the UK encouraging parishes to set up sponsorship schemes of which there are now nearly 50. Ten of these are in Salford Diocese. His success has earned him an MBE. There was a lot of enthusiasm from the group for the idea of our Parish sponsoring a Syrian family and we will pursue this. It is something we will also take up with the Clitheroe Christians in Partnership Meeting on Wednesday January 30. However for 2019 we hope we will be able to run another Refugee Day Out and we are collecting money for that from Live Simply events (e.g. this one and Global Healing). For Sean’s presentation we got a very creditable £71.75, no doubt thanks to his infectious passion and commitment. From our CAFOD meeting this morning. Little Green Footprints refills your plastic containers. 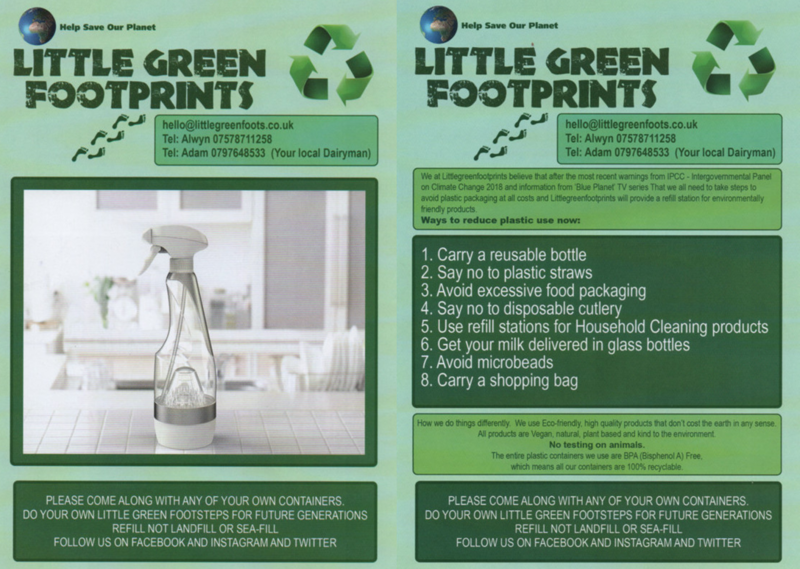 Find them on Clitheroe Market or contact them via the details on the leaflet. Note that you will pay more than you might pay elsewhere but cheap products are manufactured on the backs of the poor, the exploited and the enslaved. We can only stop exploitation by refusing to take personal advantage of it. First of all we have now sold our first batch of 30 BOB boxes for a total of £300. £90 goes back to CAFOD to make more BOB box kits and £210 is for our Parish CAFOD group to decide which CAFOD project to donate to. We have our next batch of 20 BOB boxes to sell and have so far sold one. It’s already four months since our last Live Simply at Sabden Day though a small team led by the Whites has made further progress in front of the church. We need another date in our diaries and I’m sure there are things we can make a start on even during the winter months. To remind you of plans – yet to be finalised – look at the notes of the meetings on this webpage, particularly the August meeting which has most detail. Perhaps a Saturday in February? It would be good to have something in the diary to keep us focused. Following the success of the Clitheroe Global Healing event we decided to hold another similar event at Sabden and we have five meals so far volunteered. This may well be enough. We need to sort out an OHP and a date and suggestions for the latter would be good. 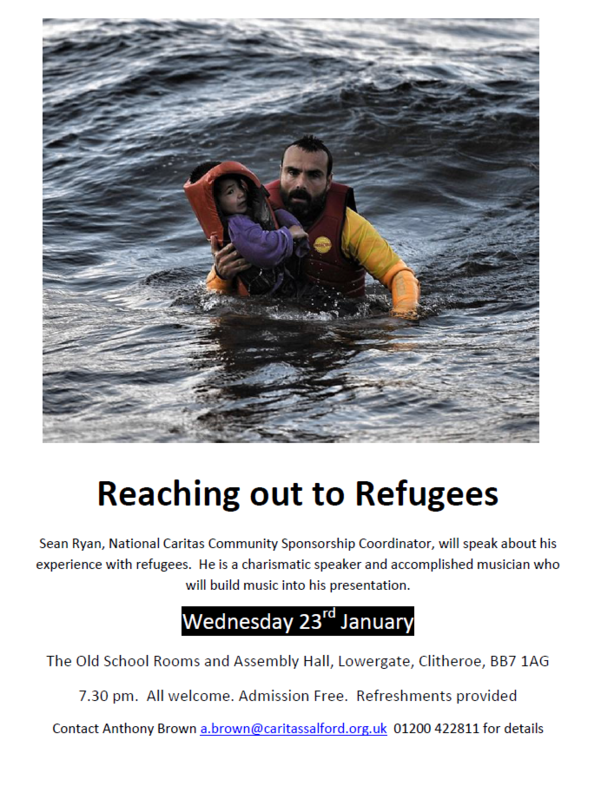 I think it will have to no earlier than February because in January there is a Parish Forum on the 16th and I have provisionally booked Sean Ryan, National Caritas Community Sponsorship Coordinator, for the following week to talk about his work with refugees as part of our plan to attract support and volunteers for our refugee work in the Parish. At some stage not too long after a Sabden Global Healing event we need to arrange the remaining two Global Healing sessions in Clitheroe. These involve a film but not a supper. The next meeting is at Sabden on 9th January, at 7.30 pm. 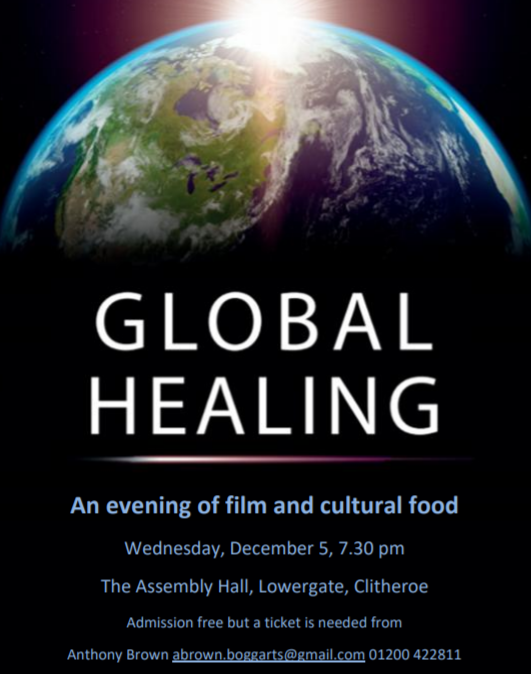 Over 40 people attended a very successful Global Healing event on Wednesday 5 December. On arrival people were given a Global Healing leaflet which is about how our faith helps us care for our common home and lists things we can do. You can download a copy by clicking on the picture below and saving it. On each table was another leaflet about what families and parishes can do and how we can educate ourselves and use our political voice. You can download a copy by clicking on the picture below and saving it. Fr John who has highlighted the importance of Pope Francis’ Laudato Si’ since its publication was unwell and sent his apologies. On 18 June 2015 Pope Francis gave us the encyclical Laudato Si on Care for our Common Home. From the outset Pope Francis made it clear that the two central themes of his pontificate would be care for the poor and care for nature. Whenever I return from the desperately poor countries I visit as the chair of CAFOD trustees, I am acutely aware of the need to be constantly questioning the wastefulness and indifference of our affluent society. In Laudato Si, Pope Francis challenges us to make connections between our actions and the increasing damage we are inflicting on our environment. Every drop of water we drink, every strand of cotton we wear, every word we write on our computers affects the environment in some way. He encourages us all to make the connections between our actions and their effect on the poor, the marginalised and the exploited. Living our vocation to be protectors of God’s creation is vital and urgent; it is not an optional or a secondary aspect of our Christian faith. All of us can, and should, involve ourselves in protecting creation and as missionary disciples we are called to become instruments of God’s care for creation. 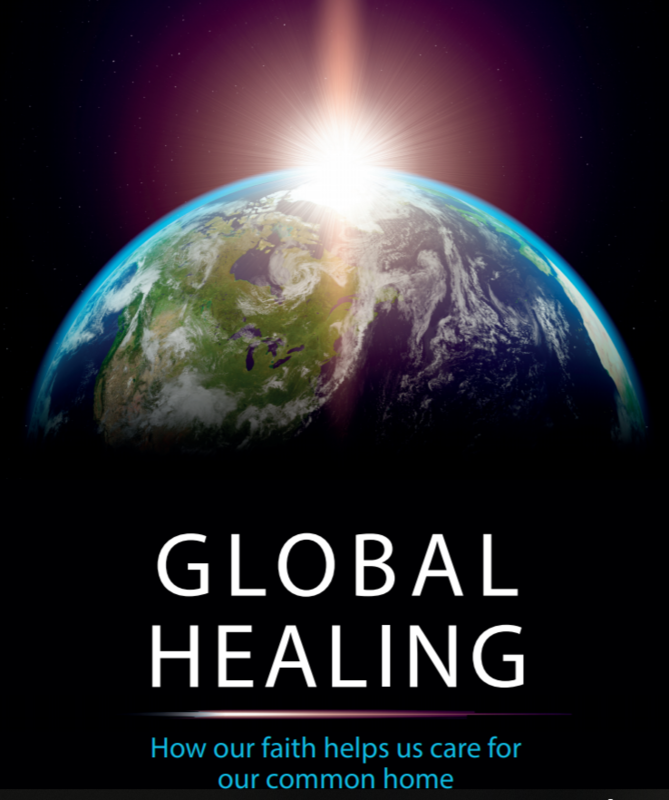 I recommended Global Healing as a short course for Advent and I am very pleased that the Parish of Our Lady of the Valley is launching Global Healing tonight with two more events in the New Year. With my prayerful good wishes for the season of Advent. The 33 minute film, in three parts followed, with questions for reflection and discussion at the ends of parts one and two. The questions were pursued over supper rather than during the film. Andrew Brown said grace and seven meals were laid out for people to choose from – Carbonara, Dahl, Spaghetti Bolognese, Mexican Chilli, Cheese Pie, Lancashire Hot Pot and Potato Pie. Nearly all the food went and what was left would certainly not be wasted. Andy Brown finished with the Laudato Si’ prayer taken from the Laudato Si’ encyclical. Over 40 people attended including a number from the wider Christian community. There were many positive comments about the film which was an excellent presentation of Pope Francis’ exhortation to us to recognise our responsibility in tackling the issues of poverty and the environment. The film and the questions it posed featured in much of the discussion over supper. Deferring the questions until supper worked well although this was not the plan recommended in the leader notes. To facilitate discussion the questions were on the tables. A number of people expressed interest in making a practical response or in joining the Live Simply Group. There was a strong feeling that people were concerned about the issue and wanted to do something about it. There were many extremely positive comments about the event and it was clear that people welcomed the opportunity to share a meal in good company, and engage in discussion on a serious matter. There was no waste. We used the kitchen crockery and cutlery and the little food that remained was taken away to be eaten later. The success was due to the substantial efforts of a few who knew exactly what they were doing, and the willing support of many others. A big thank you to all, particularly those who brought food and worked in the kitchen. We sold our entire remaining stock of 8 BOB boxes and 13 packs of Caritas Christmas cards. We talked about a possible repeat of the event on a smaller scale at Sabden. Although the number of people attending was perhaps 15% less than tickets taken or ordered, an attendance of over 40 felt substantial, even in a large hall. Attendance was boosted by email approaches and personal contact to people who would not otherwise have been aware of the event. It is clear that the usual methods of publicity are only partly successful and that we need to work on communication in order to reach more people. Read a report of the meeting The first part of Global Healing will be on Wednesday 5 in the Assembly Hall. We have seven offers to make food for the cultural meal. Tickets are free and will be given out at all Masses between now and December 5. Parishioners participated in a short walk to Share the Journey with refugees. We added 19 miles to the total which continues to rise. We have already walked four times around the world in solidarity with our brothers and sisters. Can we make it a fifth? The next priority for the group arising from the meeting is Global Healing. 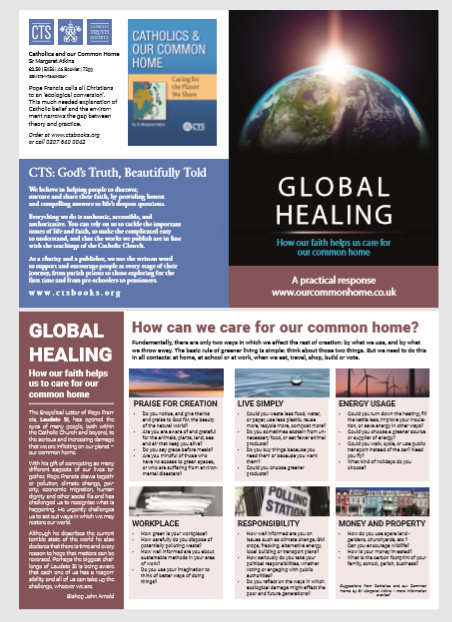 Global Healing (How our Faith can help us care for our Common Home) is a free resource sponsored by the Bishop’s Conference and can be a film evening including a worldwide supper or a short course of three evenings. Bishop John has recommended it for Advent. If it is to be an Advent event we would need to go for the first day on 5 December. Our initial thoughts are covered in the notes of the meeting. After our work things looked a lot better at the front of St Mary’s Sabden but some time last week somebody came and added the finishing touches for Saturday’s wedding. 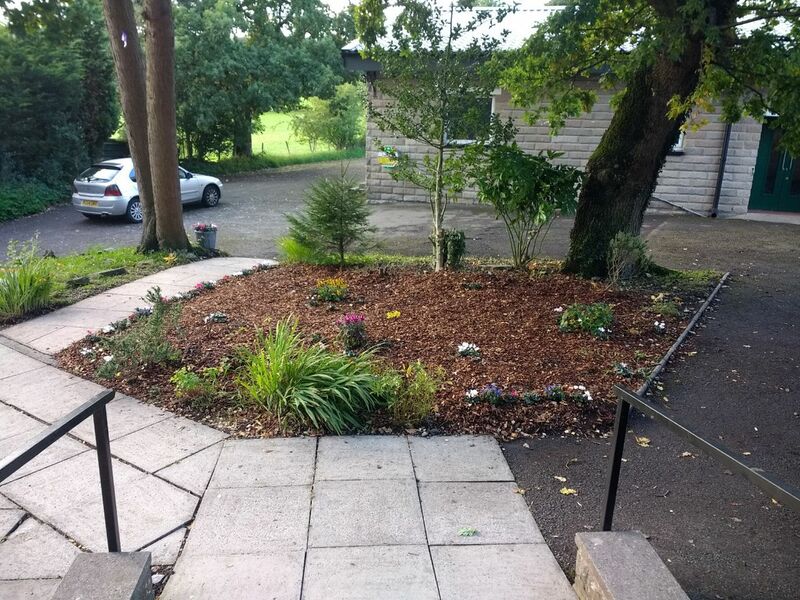 It goes to show what can happen when you make a little effort to make our Parish more welcoming. Apart from all the hard work that people put in, credit should go to those who made insightful suggestions leading to the decision to prioritise the front of the church in time for the wedding, and the invitation to the wedding party to come and help. Credit in particular needs to be given to Peter and Susan White who have worked tirelessly, and mostly on their own, at Sabden and without that work the current tidying work would have amounted to nothing. Despite the weather, which got steadily worse as the morning progressed, we had 18 people turn up to work on the garden at St Mary’s, Sabden. This included six from next weekend’s wedding party who must have been pleased to see how many parishioners were there in the miserable weather, doing their best to make the place nice in advance of the wedding. The weather might have been miserable but the event was anything but. Somehow the rain was barely noticed until we’d finished and realised how wet we were. Thanks to the numbers it took two hours to do a job that might have taken all day, but mostly what people will remember is the satisfaction of a job well done in good company, and having the opportunity to talk to people and get to know them better. It was a great community event and a great show of welcoming. This is only the start. There is more basic tidying and maintenance but hopefully it won’t be long before we can turn our minds and efforts to the environmental aspects of what we are about here. We will meet and plan before the next Live Simply Day at Sabden. Watch this space. The pictures show the area in front of the church but people did much more than this, each to their own allotted task. Hedgehogs are becoming increasingly scarce and at the Sabden Summer Fair I met a man called George who named a hedgehog after him. George noticed a hedgehog in his back garden one day and thought it would be a good idea to make somewhere for it to hibernate in his garage and sure enough George was soon in there. When the winter came George dragged some straw into his hibernating box and went to sleep till spring. 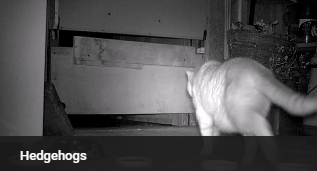 All the time a camera monitored every movement and the attached video is an edited version of hours and hours of film footage. 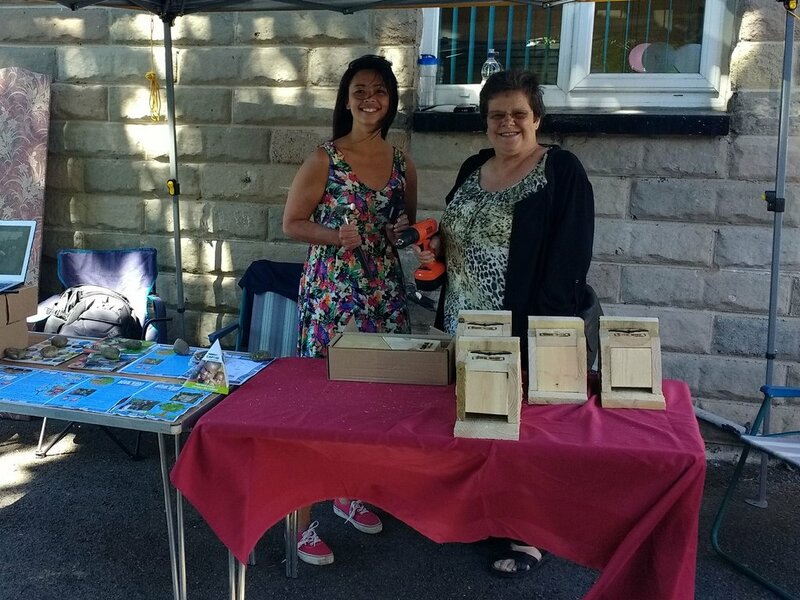 We sold ten BOB boxes at the Fair at £10 each. Of that money a total of £70 will go to CAFOD sponsored projects yet to be agreed by the Laudato Si’ Goup. £30 will go back into the making of more BOB box kits. We are walking today in solidarity with all refugees and migrants throughout the world. This is part of a ‘Share the Journey’ campaign throughout England and Wales. All together in total we hope to walk 24,900 miles which is the distance around the world. We hope that every step we take will be a message to world leaders when they meet in September 2018, to finalise global agreements. We need to make sure that these agreements have at their heart the human dignity of all vulnerable people on the move. 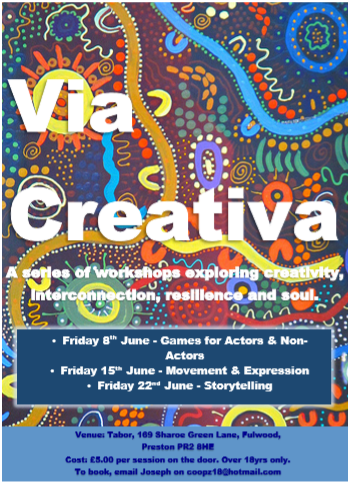 June 6, 15, 22, 2018: Via Creativa, a series of talks exploring creativity, interconnection and resilience. ..so we are on the way! Come along and celebrate National Volunteers’ Week with us! The Pendle Hill landscape is a wonderful place to spend time, and volunteering across it is even better! 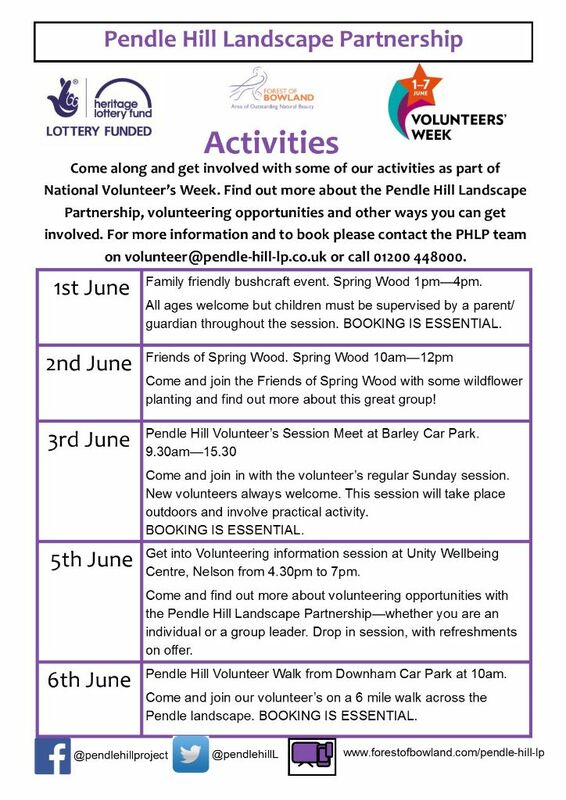 As part of National Volunteers’ Week which runs from 1st to 7th June 2018, we will be delivering a number of activities and sessions within the Pendle Hill Landscape Partnership. Please come along to any of the sessions and find out more about volunteering opportunities and the wider Pendle Hill Landscape Partnership. New volunteers welcome and no prior experience needed! Friday 1st June 1pm – 4pm. Join us at Spring Wood for a family friendly bushcraft session! Children must be accompanied by a parent/guardian throughout the session. All resources and materials provided but prepared to get muddy! BOOKING IS ESSENTIAL. Saturday 2nd June 10am- 12pm. Join the Friends of Spring Wood at their regular monthly volunteer session at Spring Wood and get involved in some wildflower planting, as well as getting the opportunity to learn about this great group! All materials provided but please bring your own gloves if you have them. Under 18s must be accompanied by a parent/guardian. Sunday 3rd June 9.30am – 3.30pm. Come along and get involved in our Pendle Hill Volunteer’s session as we start some path repair work and remove some tree guards from part of the Pendle Way that goes from Barley up the hill. Meet at Barley Car Park. All tools provided but please wear suitable outdoor clothing and sturdy footwear. Bring extra layers and waterproofs, as well as lunch and snacks for the day. Under 18s must be accompanied by parent/guardian. BOOKING IS ESSENTIAL. 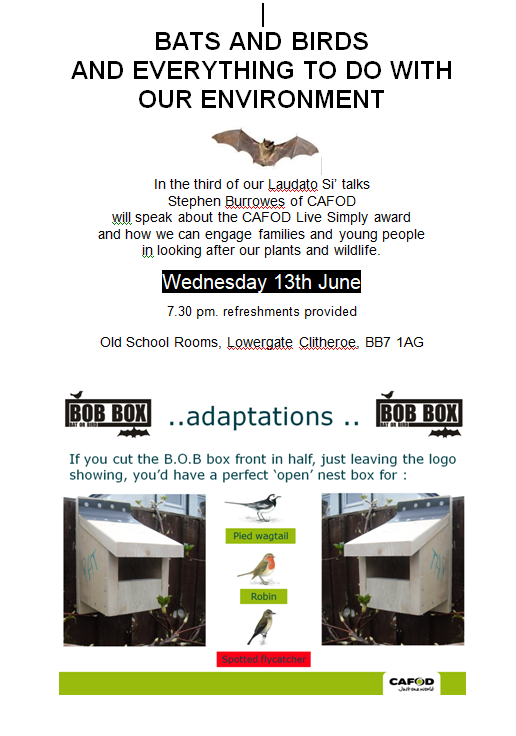 Tuesday 5th June 4.30pm – 7.00pm. Drop in to see us at the Unity Wellbeing Centre in Nelson to find out more information about our volunteering opportunities across the Landscape Partnership. Come along and ask us questions about the projects, future events and activities. Opportunities range from practical conservation to Pendle Radical research, archaeology to species surveys. There are also ‘Get Into Volunteering’ opportunities for groups so please come and see us if you are a group leader from Pendle, the Ribble Valley or Burnley. Wednesday 6th June 10am-2pm. Join us for a walk with volunteers across our lovely Pendle Hill landscape. The route will be approximately 6 miles and we will meet at Downham Car Park. The route won’t go to the summit but will provide you with some great views and great paths. Please bring lunch as we will aim to have that en route. Under 18s must be accompanied by parent/guardian. BOOKING IS ESSENTIAL. For more information about any of the sessions or to book a place please email volunteer@pendle-hill-lp.co.uk or call 01200 448000. 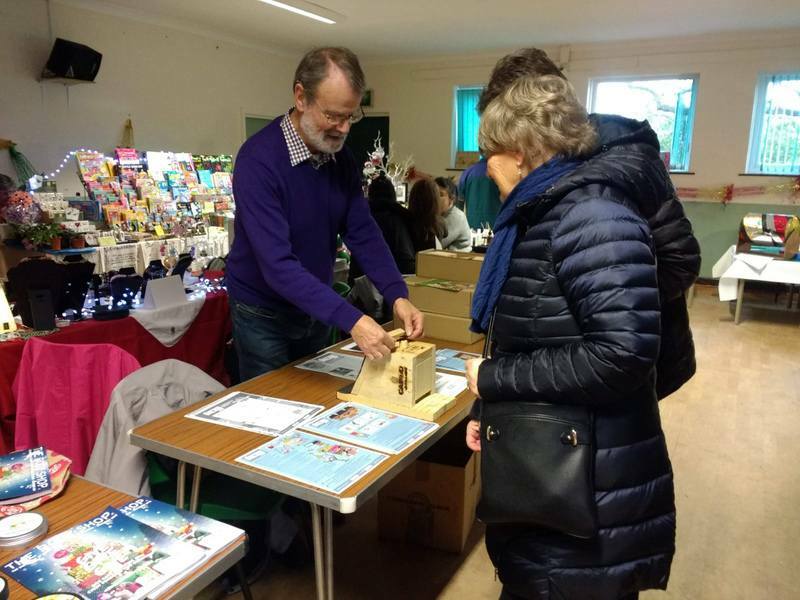 Following a request for the SVP to man a stall at a St Michael and St John’s “Spring Happening”, my suggestion to run an environmental stall was accepted by the group. 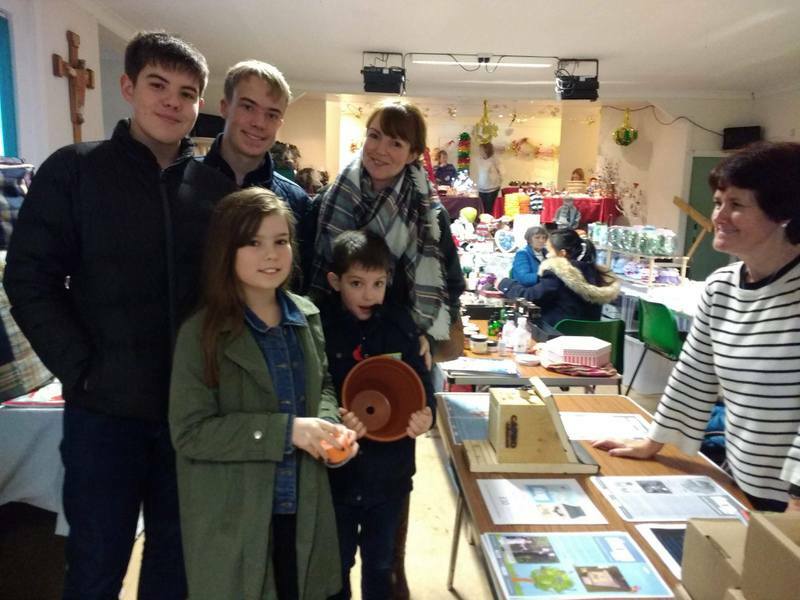 The stall was to bring attention to the needs of the environment. Contributions were donated from several local garden centres and supermarkets, who themselves seemed very supportive of our intentions. They generously donated items to help our efforts. 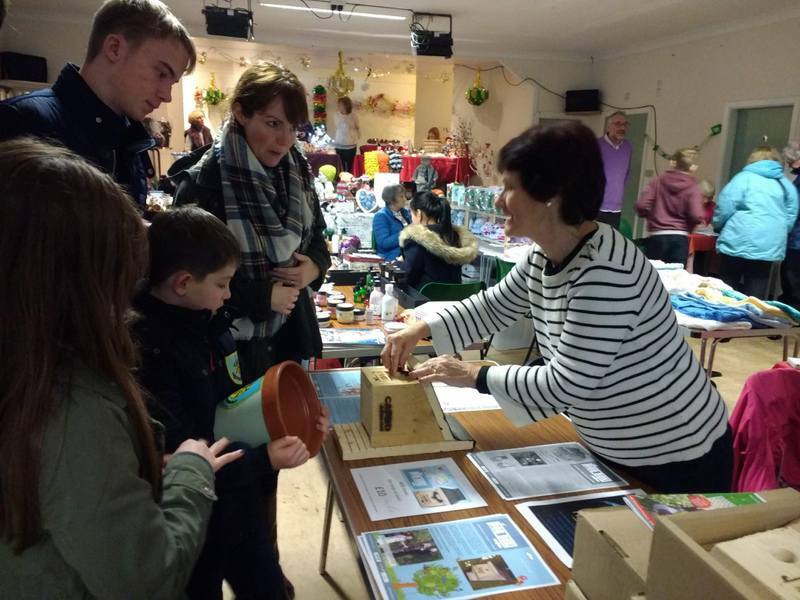 We sold hedgehog houses, bird houses and bird food, also seeds, flowers and herbs to provide pollination for the bees, gardening tools for adult and children, plus compost and pots. Posters and leaflets from the RSPB and World Wild Life Fund were displayed and handed out, as were children’s magazines and “spot it” leaflets to get them interested in nature. We also sold canvas bags and used paper bags as opposed to plastic. 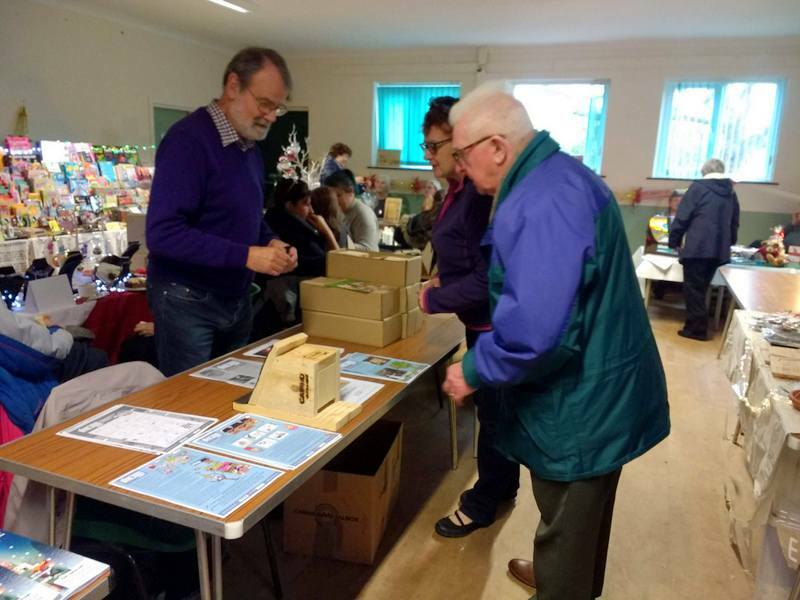 The stall made over £200 for the Parish. Jayne Ashe of the Pendle Hill Landscape Partnership, a woman with a passion, brought a breath of fresh air to the Old School Rooms on Wednesday, May 2, speaking of the Partnership’s mission to understand, restore and celebrate our iconic hill. Her talk, illustrated with beautiful landscape pictures, covered the work of the partnership under the headings of Environment, Economy and Enjoyment. With lottery funding of £1.8 million plus additional funding of nearly another million, there is plenty that can be done over the Partnership’s four year’s duration. The area covered stretches from Gisburn to Whalley and from Clitheroe to Barrowford and Nelson, and takes in numerous conservation, archaeology, art, and enjoyment projects working with other organisations such as Mid Pennine Arts and Ribble RiversTrust. 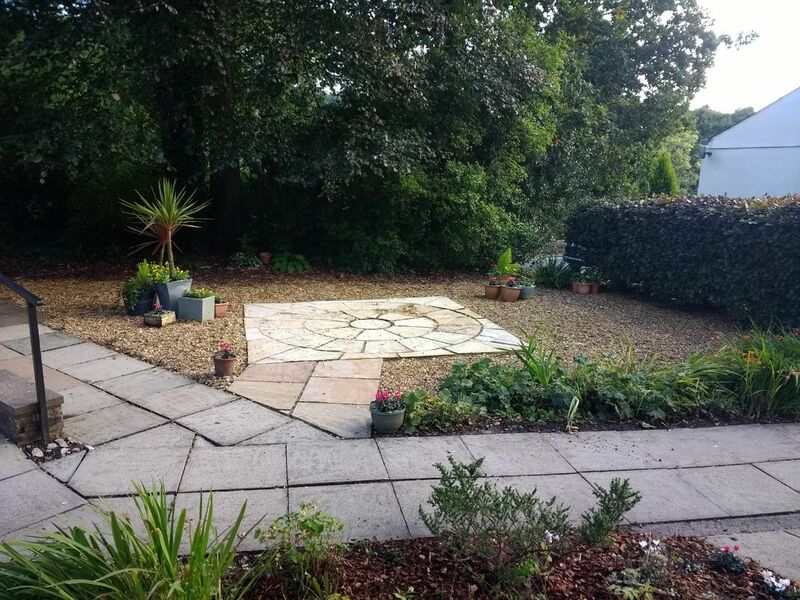 On the Environment there are projects to develop the habitat, guided by the wishes of local residents, in the areas around for example, Worsaw Hill, Clarion House and Barley Car Park. In the last 50 years wildlife has changed with reduced numbers of badgers, hedgehogs and swifts. Swifts were a particular topic for discussion with Jayne’s wisdom on the demise of these birds which need the specific but declining habitat under the eaves of houses. The answer is “swift boxes and bricks” and the Partnership has installed 15 of these so far on 5 or 6 farms. Another issues is that the area lacks clough woodland so tree planting is important. Conversely there is the problem of invasive species – Himalayan Balsam, Japanese Knotwood and Cray Fish species that are threatening our native crayfish population. Himalayan Balsam not only takes over other plant life but leaves banks bare in the winter increasing erosion. Volunteers can remove invasive plants giving grassland and natural river bank grasses and herbs the opportunity to re-establish themselves. Repairing walls and hedges enhances the landscape for walking and encourages diversity in wildlife, for example developing the habitat for stoats and weasels. On Pendle Hill there are plans to restore the cart track that runs diagonally back to the base on the Barley side and this will ease Mountain Rescue. Peatland restoration on the top of Pendle is important to give plant cover and prevent excess CO2 entering the atmosphere. There will be a shelter near the trig point in the shape of a cross to provide a wind break from whatever direction the wind blows. There is work here for a master craftsman and also artwork around the trig, as well as requiring volunteer involvement. On Economy there is a need to spread the footfall from the honey pot of Barley to encourage new visitor economies around the Nick of Pendle, Spring Wood and Downham. There is no footway on the road between Chatburn and Downham which will be remedied by an off-road route alongside the road. Research is planned, particularly to develop the area with health and well being in mind. People Enjoying Nature (PEN) is based on the principle that mental health and well being can benefit from eco-therapy and being active in the outdoors. Also planned are links with UCLAN, plus apprenticeships for young people to learn rural skills such as wall and hedge repair. Our hill is for the Enjoyment of everyone, from just soaking it in to active participation in projects such as archaeology. Pendle Hill has prehistoric sites, probably Bronze Age, and there are features not listed that probably should be. Community Archaeology will provide opportunities for training in desk research, geophysical surveys (seeking ancient below ground disturbance) and study of previously uninvestigated sites. Apart from opportunities for archaeology with the Partnership, the Partnership also has funding for people who want to take on their own projects. We should celebrate our Pendle Radicals – George Fox of the Quakers, Selina Cooper, hero of the suffrage movement, and the Chartists – and learn about them. There are a lot of opportunities for volunteering and learning and in 2020 there will be a summer school. 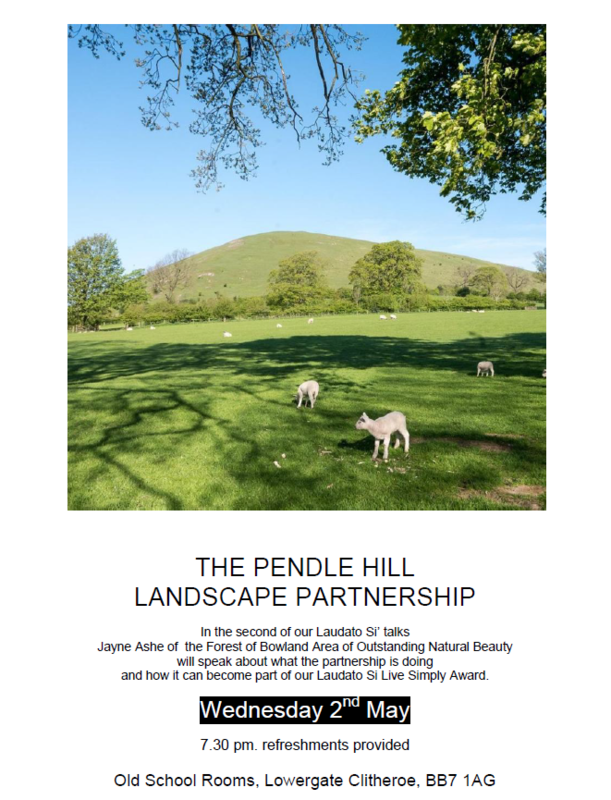 Overall it was very clear that the Pendle Hill Landscape Partnership will offer plenty of opportunity to pursue our Live Simply Award under the heading of Living Sustainably with Creation. In particular there are opportunities for families and young people to explore, enjoy and learn about the environment and wild life, in the company of others seeking similar pleasures. This can be at the level of one day observations tasters or active involvement in substantial projects. Anthony Brown said a few words about the Live Simply Award and introduced the speakers. Mark Rotherham introduced us to Laudato Si’ and the message of Pope Francis reminding us of the significance of the name our current Pope has taken. Man’s existence on Earth continues the evolution of the universe and living matter, from the Big Bang to the emergence of consciousness and compassion. Yet within the short span of humanity , through our actions, we have upset the fine balance that has kept our planet on its course so that now we threaten not only the whole environment but ourselves as well. On land the food chain is under tension as the small creatures die and the bigger ones have less to eat, and in the oceans, plastic waste is forming islands of death for the creatures of the sea. We must remember that we own nothing in the world, we are but stewards of what we possess and we are stewards of the earth: “..a new model of stewardship away from dominion towards a model of kinship with the Franciscan language of the family” (Laudato Si’). The compassion that Pope Francis speaks of in everything he writes and says is what must drive us to protect the earth, to halt its destruction, to care for all life within it, and to remember that it is the poor who suffer first and most. It is our duty individually and collectively to do all in our power to care for our environment and everything in it. Building on Mark’s introduction, Joe Howson introduced his presentation with a potted history of Lee House, a Mass Centre during penal times, and how Lee House became a centre for spirituality and education, where people young and old come to reflect and learn. Joe’s emphasis at Lee House is empathy – empathy for the poor and the marginalised and empathy for the environment. 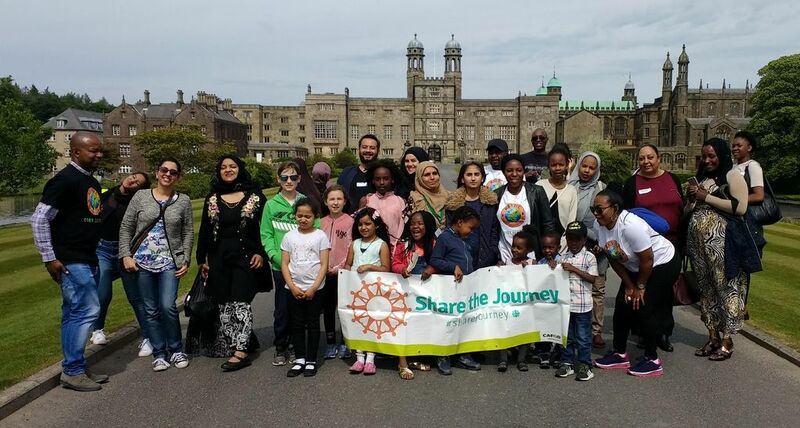 Over the years Lee House has been venue for school children coming for experiential days, learning what it feels like to be a refugee or homeless person. Lee House has a mobile refugee exhibition which goes to schools where pupils pass from one room to another, through simulated environments and audio testimonies. There is also a mobile trafficking exhibition which uses the same structure but with different pictures and audios. But mostly school children come to Lee House for experience and role play followed by discussion and learning. For example there are offerings where pupils play the role of loggers or others moving in or exploiting land occupied by indigenous peoples. Their counterparts play the role of the indigenous people themselves. Having experienced one side or the other the case is taken to a simulated court or the United Nations where each side argues its case. We need to ‘contextualise’ so our understanding of the world is rooted in reality not theory; helping young people to experience the awe and wonder of nature. Lee House and its land and outbuildings and structures, developed by Joe and volunteers, is an oasis of environmental care and formative experience. Mark and Joe had provided for the context for Joseph Cooper from St Wilfred’s Parish, Preston, to present the details of the CAFOD Live Simply Award. He gave us some details of what his own parish was doing to achieve the award. There are three prongs to the award: live simply; live sustainably with creation; and live in solidarity with the poor. Under each of these three headings you have a main action which involves either a significant change or includes a lot of people. You also have two smaller actions. The St Wilfred’s group has drawn up their plan which has been submitted and accepted and will be reviewed at the end of the period by a CAFOD assessor who will expect achievement to be evidenced by such things as paper records and invoices, or visual change. It was clear from what Joseph said that all that was needed was imagination and a modicum of building on what was already being done. The St Wilfred’s Live Simply Group comprises a group of ten people which is but a small proportion of the parish and Joseph raised the interesting concept of ladders of engagement which aim to deepen commitment gradually from a low base thus engaging more people and achieving more ambitious goals. Community activities or spiritual events can have an environmental or charitable dimension for example Masses or prayers offered for a particular intention or even injecting a few environmental questions into an Advent quiz. St Wilfred’s are having a serious of awareness raising events including subjects like human trafficking which is a less obvious candidate for a talk, yet referred to in Laudato Si’. Stimulated by Joseph and the realisation we could include activities which are already taking place, or which aimed to reach new people, we were encouraged to feel that we are already on the journey. There will be a Spring Happening of fun for all the family in the Parish on May 20th, at St Michael and St John’s Secret Garden and Assembly Hall, to include our Parish, friends, local communities, playgroups, primary and high schools. There will b stalls, crafts, demonstrations, refreshments and lots more. There will be a Justice and Peace presence at the Eucharistic Congress in Liverpool in September 2018. Steve Atherton is delighted to invite our northern environment group to get involved in the fringe event called ‘On the Altar of the World’ on Saturday 8th from 10.00 – 18.00 at St Philip Neri, the Catholic chaplaincy to the university. This is a large venue in the student quarter, very near to the cathedral (near the Philharmonic for those who know Liverpool.) The building can accommodate large numbers as well as smaller, more intimate groups. It has a large open space with versatile seating arrangements and easy access to comfortable rooms and a kitchen. 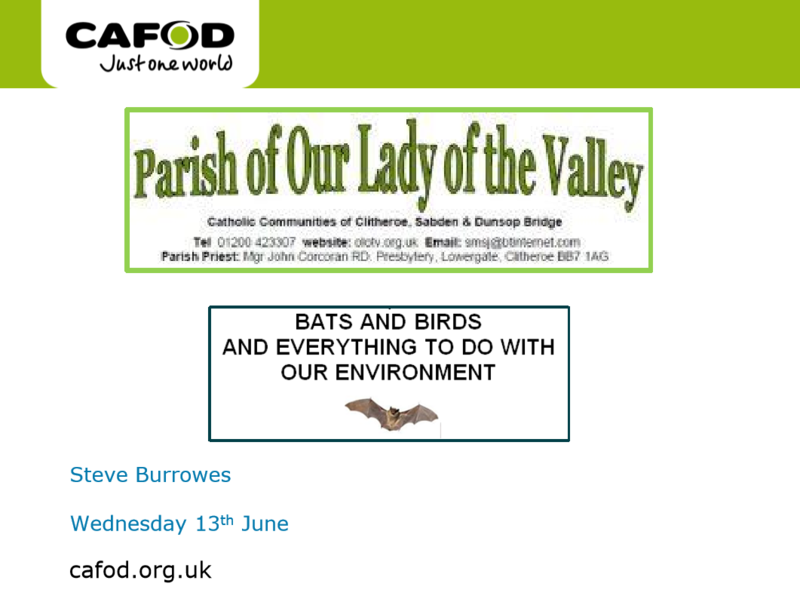 The Northern Diocese Environmental group representing their Diocese J+P organisations will host an environmental event there with the themes yet to be agreed. Mark Wiggin concluded the evening by applauding three excellent presentations from three very knowledgeable people, all of whom are committed to the gospel of social justice and protection of the environment. Their knowledge and passion came through with some wonderful examples of how we can understand and respond to Laudato Si. We heard about the importance of seeing ourselves as part of creation, a perception that brings with it the need to recognise the emphasis on stewardship rather than dominion. The crisis of global warming and climate change is happening now and we are all called to act now. We need to educate young people to see the world and nature as something precious that needs and deserves to be protected and held in awe and wonder. Finally, we gathered some great examples of how a parish can do practical things to live simply, sustainably and with the poor. Mark Wiggin was elected Chairman and Anthony Brown, Secretary. 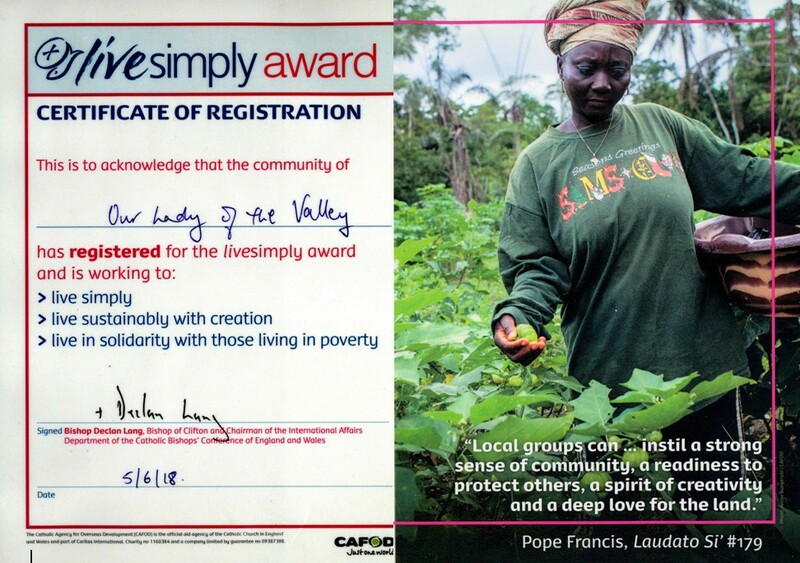 The meeting agreed to explore the CAFOD Live Simply Award as the means of pursuing Laudato Si’ our parish.